We’re very excited to announce we’ve designed for two films in this year’s BFI London Film Festival. 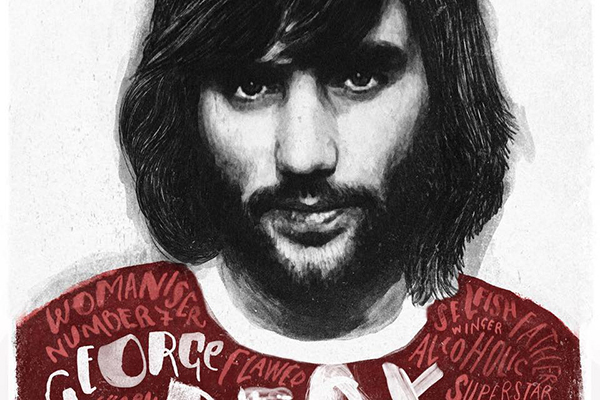 We have the UK Premiere of Stephen Kijak’s We Are X and the premiere of Dan Gordon’s George Best: All By Himself. We’re super excited to see our work on the big screen, particularly in our hometown. Having previously worked with Dan (Hillsborough, Victoria Pendleton), we came on board during the later stages of the London based edit. We contributed over 35 graphics to the film, which was onlined in Belfast. We designed the title sequence and a number of in film sequences for Stephen Kijak’s film on the Japanese band We Are X. Our title sequence won the SXSW Title Design Film Audience Award and was featured in Art of Title – for more information, please see our previous post here. It has been announced that Yoshiki (We Are X’s lead singer) will be attending for a Q+A. For more information on the festival and bookings, visit their website.